A record 137 TASIS students, faculty, staff, and community members completed the 6th annual Walk for Water on the afternoon of April 25, raising CHF 1386 for clean water initiatives carried out by Gram Vikas, a TASIS Global Service Program partner that has been working with the people of Orissa, India, for nearly 40 years with the aim of building an equitable and sustainable society where people live in peace with dignity. 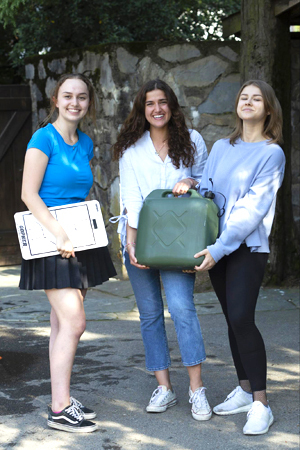 Hosted on the TASIS campus by Service Learning Board members Asia Roveda ’18, Angelina Not ’18, and Cecilia Long ’19, the Walk for Water aims to simulate what many people in the developing world must go through daily to secure clean water by asking participants to carry a 10–20 kilogram bucket of water around a one-kilometer course. Conceived by Sarah Wyler ’13 in 2013, the annual event has now mobilized more than 650 participants and raised more than CHF 8000 for clean water initiatives in Nepal, Kenya, and India—countries where the Global Service Program continues to send students. 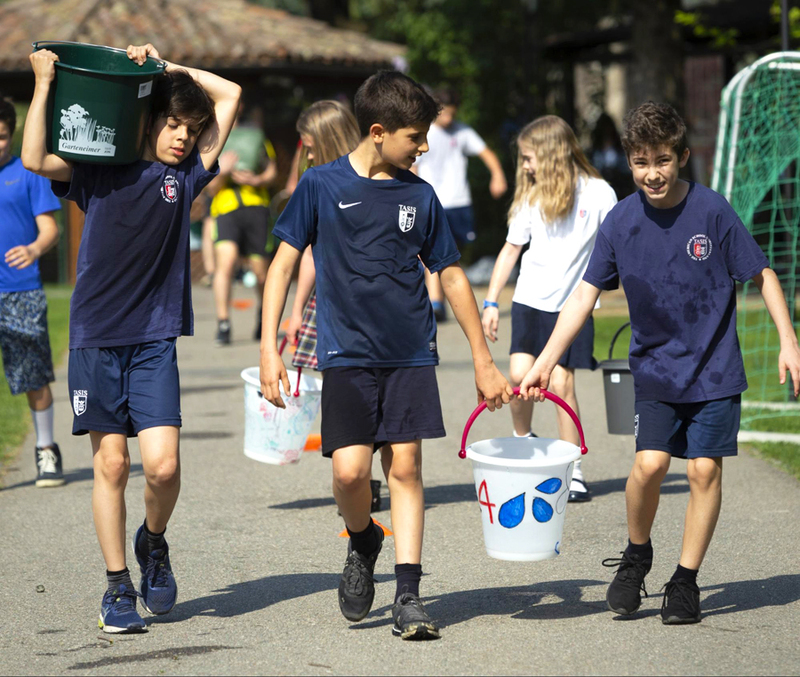 With help from the Service Learning Board, Global Service Program Director Zach Mulert encouraged students of all ages and their family members to complete this year’s walk, and he also asked the community to consider donating up to CHF 1 for every participant. Both he and Roveda are impressed by how the TASIS community continues to rally around this meaningful cause. See more excellent photos from School Photographer Kim Nelson and Mislav Ilijas ’20 on the TASIS SmugMug page.